There is no doubt about the fact that Olympia music hall has completely redefined the movie watching experience. 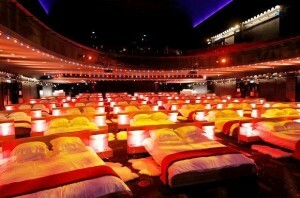 Instead of the chairs or sofas, this amazing movie theatre has beds with plush pillows and blankets. 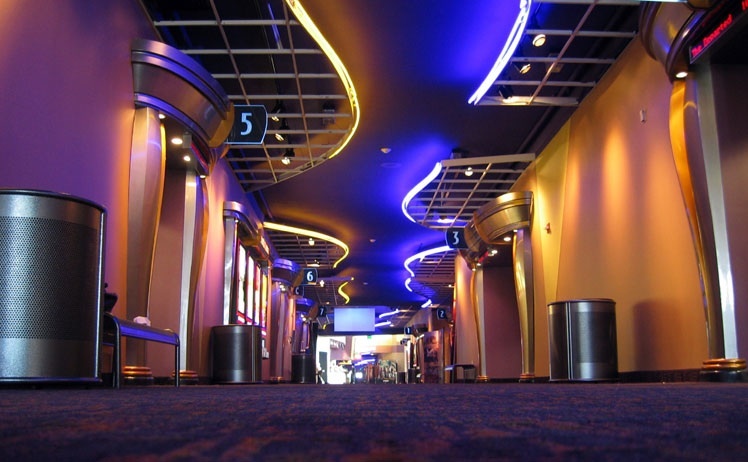 This wonderful movie theatre provides unforgettable movie experience to the couples. The theatre is owned by Coquatrix Family and is one of the greatest entertainment spots in Paris. 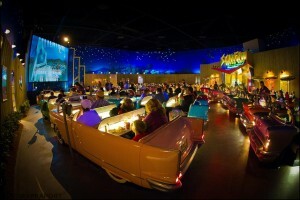 There can never be an unforgettable and amazing movie as well as dining experience than getting to the sci-fi dine-in theatre in Disney’s Hollywood studios. The theatre comprises tables that are made in the shapes of classic cars. The walls and roof of this theatre provide unique experience that is second to none. This amazing movie theatre runs throughout the week and remains occupied with people from all over United States. 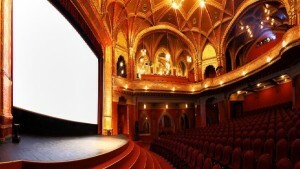 The designers and entertainment companies have always collaborated to create theatres that provide unique movie experiences to the movie enthusiasts around the world. The floating boats movie theatre is an example of these untiring efforts by the entertainment providers in Paris. 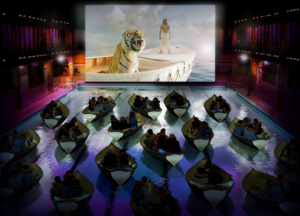 This unique and one-of-kind theatre is made in a swimming pool and the couples are made to sit in floating boats to get a whole new movie experience. 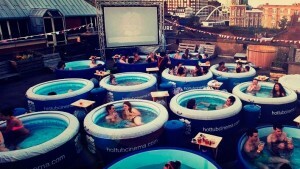 The hot tub cinema as the name tells has hot tubs placed inside the premises. These tubs are filled with hot water to provide the warmth to all those watching the movie. There’s a bar and a restaurant too where you can get all kinds of eatables and drinks served while being in a cozy warm tub to make your movie experience the most remarkable and cherished. As it can be seen in the image, the theatre depicts wonderful architecture and interior design. It is made to provide a truly classic and royal experience. The Urania National Film theatre lies in Budapest, Hungry and is undoubtedly one of the most prominent architectures of the country.